Used Exercise equipment to train at home can be great. But beware before you buy used exercise equipment. This article will help you avoid money loss and get the best possible used home exercise equipment. Deciding to get home exercise equipment is the first important step towards getting a healthier life. However if the cost of buying new equipment for your home gym is putting you off, you might try a cheaper option of getting used home exercise equipment for your home gym. Almost every kind of exercise equipment can be got second hand. While there are many shops that may be selling this worldwide will be online, if you really want to save some money, you will want to look up for the shops and dealers that are selling around your home or city which you can pick up directly, saving money for shipments that may be considerable. 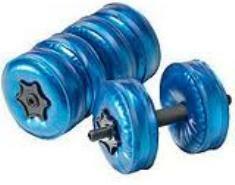 You can also find used exercise equipments in classified sections of local papers. Sometimes, buying directly from the previous owner is usually better than buying from a dealership. However you have to beware of sellers bloating the prices. So if you are considering buying a particular exercise equipment, it is usually best to check the retail prices of the new ones, the particulars of the machine, the parts and what it works best. This is so that when you see a used one online or in a shop you can reference with what you already know about the product to judge if the seller is asking the right price and if you are getting a bargain or not. The first place to start when looking for home exercise equipments is to get a good set of dumbbells because they can be used for many different exercises and can be used to work the whole body. Getting adjustable dumbbells are even better. You can then buy other equipments depending on your particular training needs and desires. Back from to Weight Training Home.